but I deliver a finished product you can't find anywhere else. For as long as I have been photographing, I have been creating solutions for events and custom graphics. With a degree in Public Relations & Advertising, I am able to offer an extra edge to create your event as its own BRAND. Consider yourself hiring a "creative director" for your Wedding, complete with the media "bows and ribbons" (graphic design, marketing, advertising, communication, photography, print materials) all tying up into a completely custom designed event. No one in the world would be able to copy! Save yourself HOURS of time sifting through Pinterest and online print invitation sites when you go directly to a graphic designer, who is also your photographer. The best part- save yourself MONEY as well with our bundle packages. And even better, your designs are created for you alone to bring your personal style, wedding theme, and every word is custom fit for your liking! No need to compromise! Make sure your guests are taken care of with the right communication. When you know you've sent them every detail of where, when, and how they need to arrive, everyone wins! 12 Email Communication messages automated and pre-built to keep your bridal party, family, and guests on top of their deadlines. Request more from your guests like Song Requests, send digital thank-you's and also links for anything they can review (like photos) afterwards without having to do any of the work! 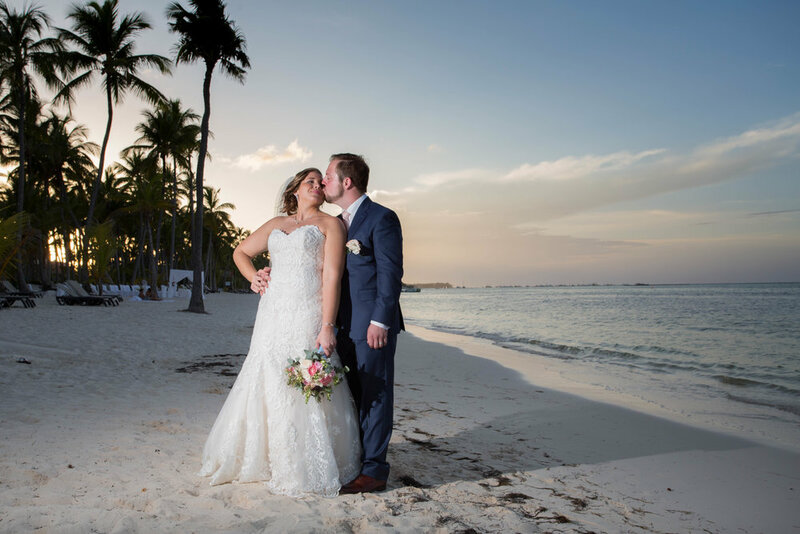 Perfect for Destination Weddings with an abundance of information that needs to be communicated more frequently and organized than most traditional local weddings. Putting together the right communication, decor, and helpful little treats for your guest can tie the whole experience together. Door Hanger "Here's the Party"
Perfect for Destination Weddings to include itinerary for the week, important wedding information, Thank You favors, and also little pieces of supplies (bug spray bracelets, sunscreen, first aid kits) for any excursions. Options and details TBD. Gathering all the ladies together for a fun afternoon of showering the bride is a big event and celebration in it of itself! With lots of decor, design, and the event to be remembered, consider this package to take your task list and chop it in half! If you purchased the Communication package, includes RSVP page & details page to work with your registry. The best gift you can give your parents is access to ME after the Wedding to help them navigate through the photos, sit with them to help them select their final images, and also to provide a gorgeous array of final prints, gallery clusters, or even a beautiful album. The best part about it, they are happy, and you were able to gift them the convenience and a final product!